You may think this sounds strange, but it works. I have mostly fresh green plants in my large front window in my home. But, I like the look of plants, so I decorate other areas with artificial flowers and plants. They only bad thing is, they get dusty. And then they look horrible when dusty. About every 6 months, "it's bath time" Yes, bath time! I bring all my artificial plants and flowers to the bathroom floor, I fill my bathtub with about 4 inches of warm water and 3 capfuls of Downy or Snuggle. Mix it around. First I do the silk flowers, I try to hold as many as possible of the stems in my hand, holding the stems, I take them turn them upside down and gently swish the flowers and leaves around in the water. This shakes off the dusty and revitalizes the brightness to their color again. Do this for only about 15 seconds. Take them out and lie them nicely on a thick bath towel. Spread them out until they dry. For the potted plants, if the plant stems can be removed, do so and repeat what I did above. 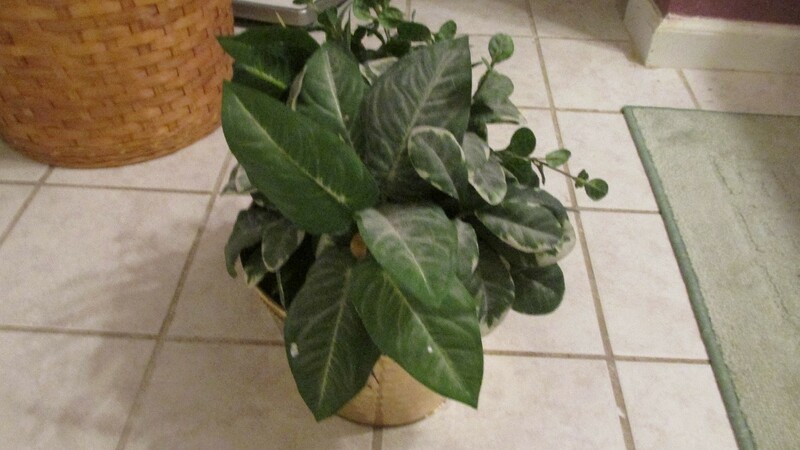 If the plant stems are glued it to the pot, take the pot, turn it upside down, only getting the leaves or flowers wet (not the artificial soil) holding the pot, and now swish the leaves and/or flowers for about 15 seconds and then keep the plant upside down on the towel, you may have to lean it against a door or cabinet so it does not fall over until the wetness dries. This works, and leaves your plants and flowers not only dust free but a nice fresh smell that last for quite a while. I have been doing this for quite some time and most likely years, to these same plants. And they don't seem to mind. Try it, you will like it! I agree with everything you do. Since I live in a warm climate, I use your method but do it outside. I take the dishpan outside and use Dawn and water. Then, I lie the plants in the grass and spray with a light mist of the hose and let dry outdoors. Same effect, no mess in the house.